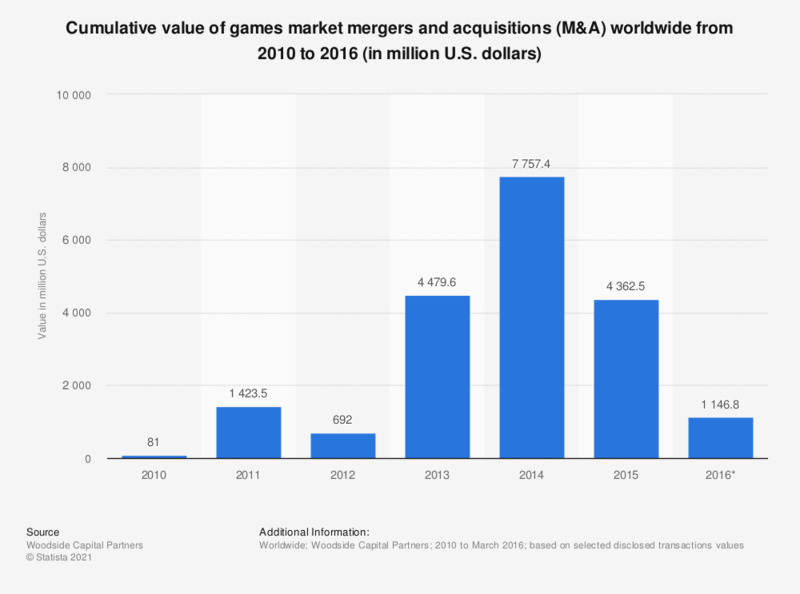 This statistic shows the Cumulative value of games market mergers and acquisitions (M&A) worldwide from 2010 to 2016. In 2015, based on the values of disclosed transactions, the industry's M&A deals amounted to 4.36 billion U.S. dollars. Data as of March 2016. Colombia: What kind(s) of video/computer games do you play?